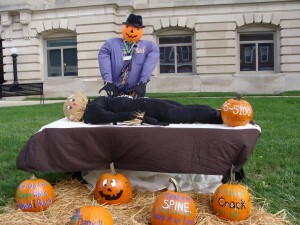 On Oct. 5, the scarecrows arrived on the Historic Hendricks County Courthouse Square in Danville for their annual visit. Their arrival was accompanied by the Scarecrow Festival. 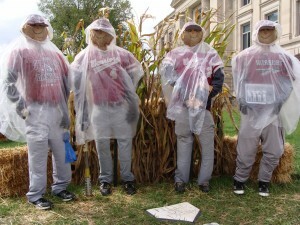 But don’t worry if you missed it, you still have plenty of time to see the scarecrows. 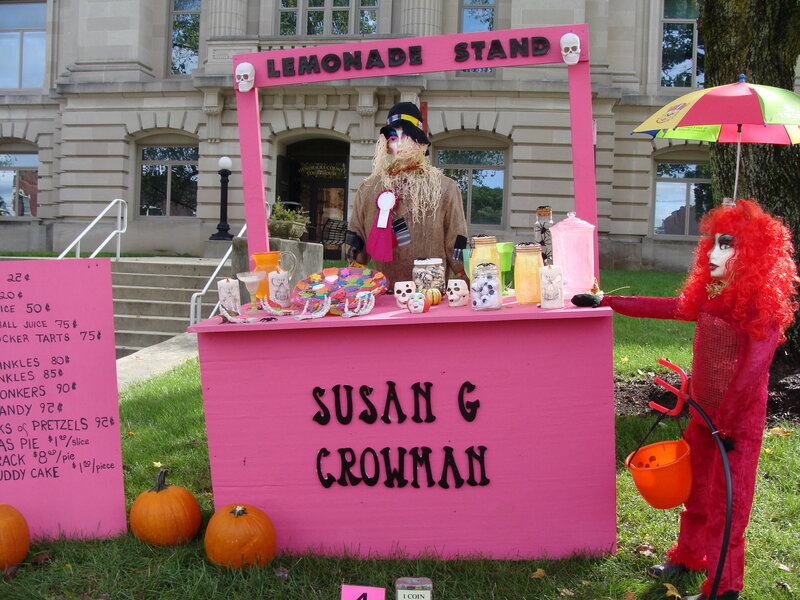 Each year, my daughter and I look forward to seeing the creative themes that competitors use for their scarecrows, and they seem to outdo themselves every year. We get such a kick out of walking around to see each one, and were so impressed with this year&apos;s creations. 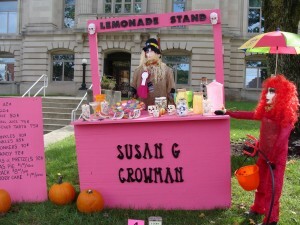 I think it is one of the best years yet with almost 50 displays ranging from a Wizard of Oz scene to a lemonade stand. 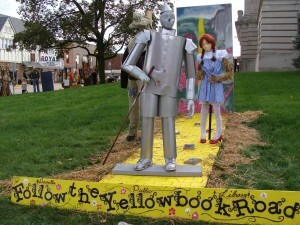 The scarecrows will remain on the square through Oct. 30. You also still have the opportunity to vote for the People’s Choice Award. In front of each display there are jars for you to deposit coins for votes. At the end of the contest with all the money benefiting local food banks. I suggest visiting the Courthouse Square this weekend, Oct. 12 and 13, because you can combine your visit with another Danville event. Beasley Orchard&apos;s Heartland Apple Festival continues for the second weekend. 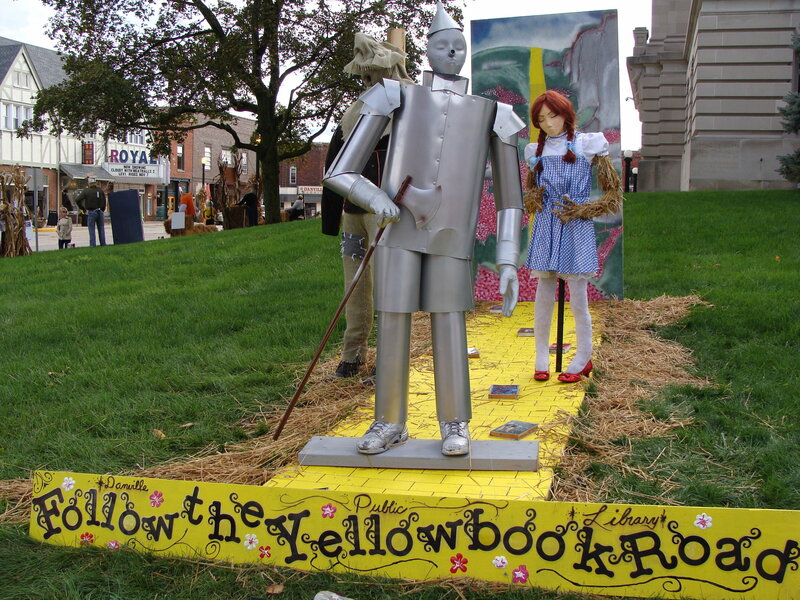 The festival features live music, arts and crafts vendors, hayrides to the pumpkin patch, a corn maze and of course everything apple and is just a short drive from the downtown square. For more details on the festival you can read my recent preview post on the event. Also, if you are a fan of movies, the Indiana Short Film Festival will feature more than 60 short films during nine showings at the Royal Theater, right there on the east side of the square on Friday, Saturday and Sunday. But if you can’t make it to Hendricks County this weekend, don’t worry. Come anytime during the month of October. Hendricks County is a great place to visit in the fall. For more on all things fall, check out the fall fun section of our website.